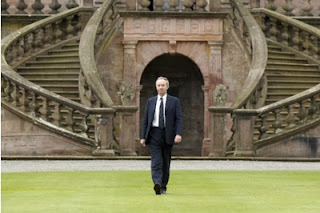 There was little in the way of energy news this weekend, but what we did have was mostly focussed on green energy. Which? gave us an article aimed at pointing out the little things that the energy companies don't always make you aware of, which is an interesting read. Labels: alternative energy, price comparison, recap, renewable energy, which? The Energy Advice Line has urged business and domestic energy consumers to check their bills after a supplier was found to have overcharged some customers. Julian Morgan, managing director of the price comparison, switching and advice service, said consumers could not automatically assume their energy bills were error-free. “Mistakes do happen, and it’s important that businesses and households check their energy bills to ensure everything is in order,” Mr Morgan said. “This can sometimes be difficult because bills are more complex than they should be, and we would like to see further simplification so they are easier to understand. 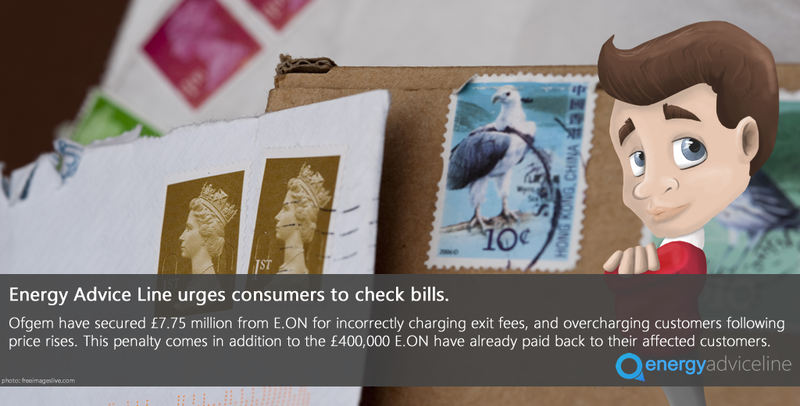 The Energy Advice Line’s call comes after Ofgem secured £7.75 million from energy supplier E.ON for incorrectly charging exit fees and/or overcharging customers following price rises. This penalty was in addition to around £400,000 E.ON has already paid back to potentially affected customers. Under Ofgem rules, suppliers have to give domestic customers 30 days’ notice of a price rise so they have the chance to switch supplier before the increase takes effect. If a customer signals their intention to switch within the 30 days, they do not incur exit fees or the higher charge even if the switch occurs after the price rise. “These rules imposed by Ofgem are crucial because they give important protection to consumers who want to avoid a price hike,” Mr Morgan said. “In E.ON’s case, billing errors were made and eventually identified, but it illustrates just how important it is for customers to check their bills and know their rights. “But they don’t have to do it on their own. Using a reputable and independent switching service like the Energy Advice Line has many advantages, key among them being the help we offer customers to find the cheapest deals and switch. The service also offers free advice and a contract management service, including alerts to remind business consumers users when their fixed-term energy contracts are about to end. This weekend we had a lot of great local news showcasing what everyone is trying to do in order to save energy - including a fantastic article on Sunday featuring pupils putting their heads together to figure out what can be done. 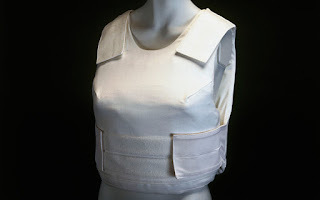 Elsewhere there was alarming news that some energy companies are now issuing their staff with stab proof vests when going to read the meters for outstanding accounts. 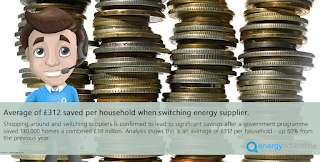 The four-week Power To Switch campaign, launched by the Department for Energy and Climate Change (DECC) on February 16, urged people to switch energy companies and save money. This weekend saw energy news from across the globe focussing on the ideals of energy efficiency and what different countries plan on doing in order to up their game. 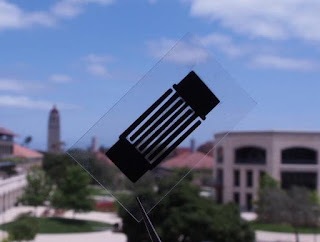 An interesting story also appeared as singer Akon pledged to help bring solar energy to Africa came with great support from both the music and energy industries. Is Scotland's green energy dream under threat? 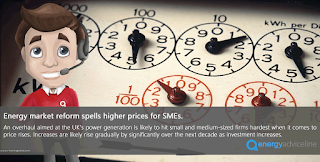 Energy Market Reform (EMR) aimed at overhauling the UK’s power generation is likely to hit small and medium-sized firms hardest when it comes to price rises, according to the Energy Advice Line. 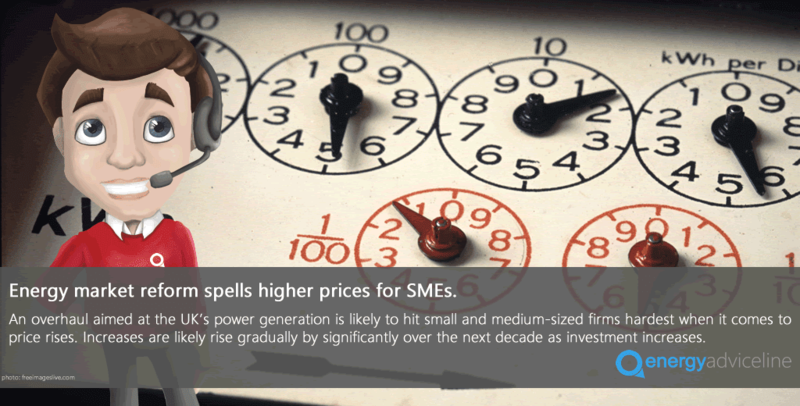 Julian Morgan, managing director of the price comparison, switching and advice service for energy users, said the package of measures designed to ‘keep the UK’s lights on’ had now come into effect and would likely impact SMEs the most. “We expect the EMR to have a significant impact on price rises over the next ten years, as suppliers need to spend £110 billion on new-generation infrastructure,” Mr Morgan said. Over the weekend we finally got to see a bit more of a focus on energy within the news - in particular a review of the Green Deal, and what's potentially going to happen next. Keep an eye on this one in the coming weeks as we predict it's going to continue it's developments. 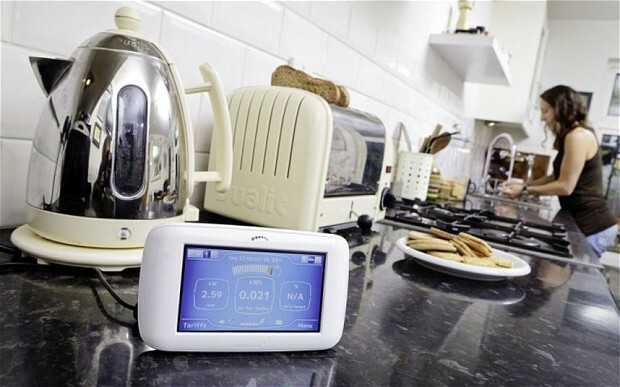 Smart meters have also been brought to the forefront this weekend as we also hear about MPs describing the scheme as a bit of a failure. 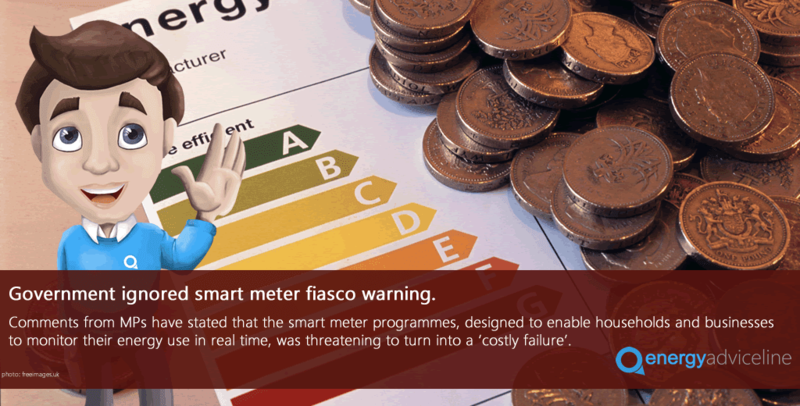 The Government should have heeded warnings to postpone the planned rollout of smart meters or risk a fiasco, according to the Energy Advice Line. The comment follows comments by MPs that the smart meter programme, designed to enable households and businesses to monitor their energy use in real time, was threatening to turn into “a costly failure”. Julian Morgan, managing director of the price comparison, switching and advice service for energy users, said consumer groups had warned the government some time ago that smart meters had not been sufficiently thought through. This weekend's news saw a lot of focus on the renewable sector of the industry - particularly the subsidies surrounding wind energy - expect to see more of this in the coming weeks as more post-election policies are discussed. 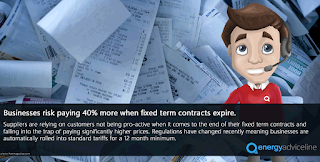 Business energy users could find themselves inadvertently paying up to 40% more than necessary for their energy by overlooking the expiry date of fixed-term contracts, according to the Energy Advice Line. 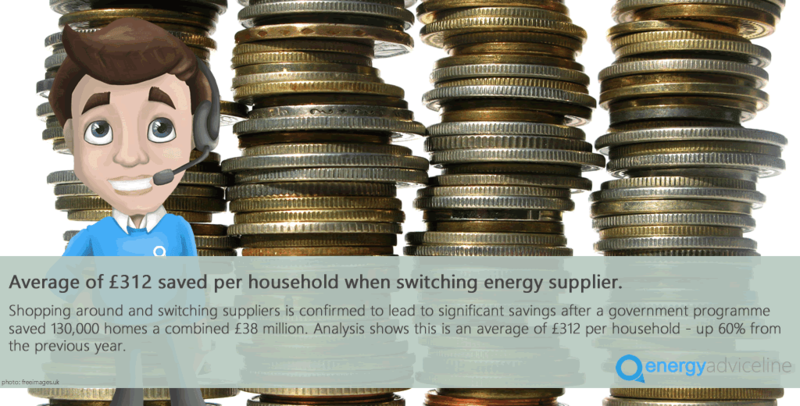 Julian Morgan, managing director of the price comparison, switching and advice service for energy users, said firms that failed to switch suppliers at the end of fixed deals were automatically flipped to expensive standard rates, often without realizing it. “Businesses need to be vigilant and make sure they know when they are coming to end of their fixed-term contracts,” Mr Morgan said.